Meridian Almond Bar is made with meridian almond butter. Meridian Almond Bars are made by combining their Almond Butter and a few other natural ingredients to deliver a tasty and protein packed snack bar. Made with MERIDIAN Almond Butter. Enjoy a bar a day as a part of a varied & balanced diet & healthy lifestyle. 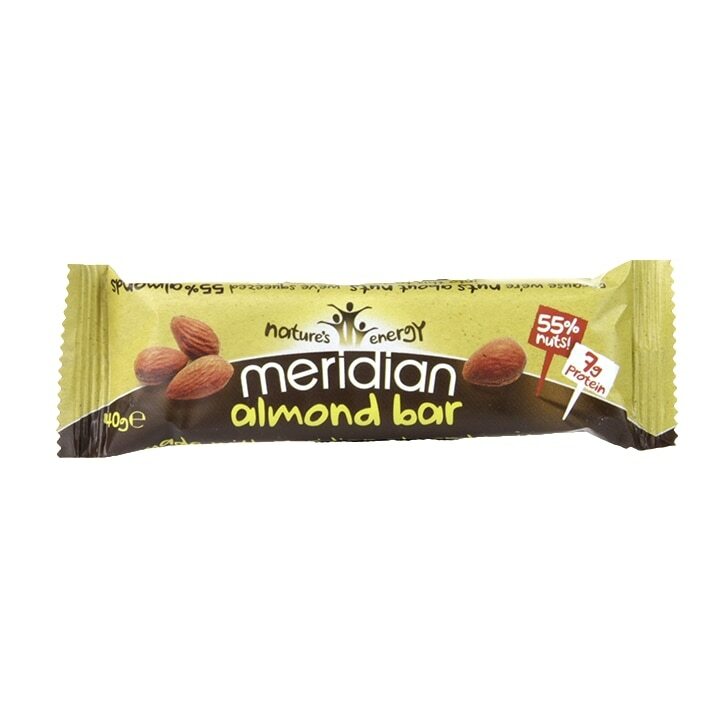 Meridian Almond Nut Bar is rated 3.8 out of 5 by 5. Rated 5 out of 5 by bosley from delicious! I really love these bars. They are not too sweet and are quite filling. I have found many other similar bars to be too sweet. They're good value because they are a tasty snack on the go and are full of healthy protein. Rated 1 out of 5 by Edee11 from Dry and Lacking taste. Wouldn't buy again. I was very disappointed as I love the Meridian nut butters and expected this product to be of the same quality. However, there was no real taste to the product, just crumbly dryness and couldn't tell it was made using almonds.